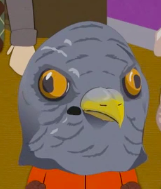 I trust ebirahsmeg1 won't mind if I take the initiative here - how 'bout a new spotlight thread? Been a little while. I think it's an apt time for the two Frankenstein spawn with the above figures out now (Bandai Premium). Post away! Absolutely amazing sculpts. They blow the y-msf gargantuas out of the water. WOW they look great. 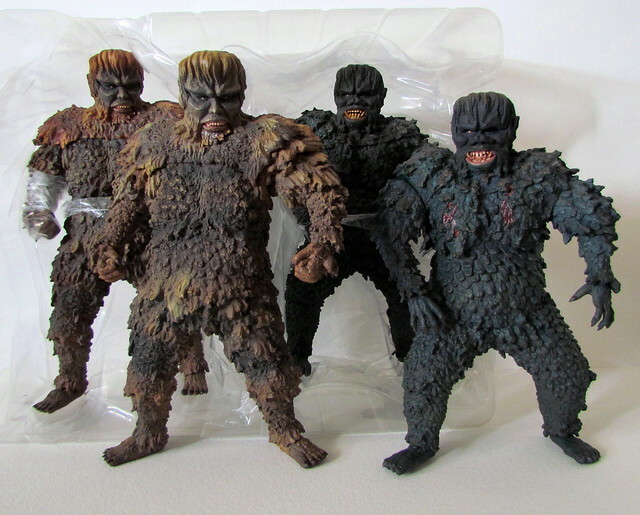 I sadly have no representations of The Gargantuas in my collection. Gaira was my favorite of the brothers. So I will start with him. If there is time later I will come back and post Sanda. 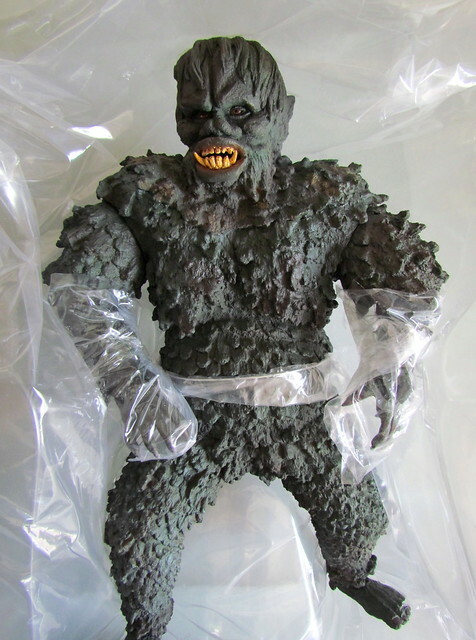 X-Plus Gaira polyester resin kit statue released in 1998. Sculpted by Toshinobu Takagaki. Comes with a base that connects to the Sanda base. The original retail price was 10,000円. Beautiful detail in this sculpt. 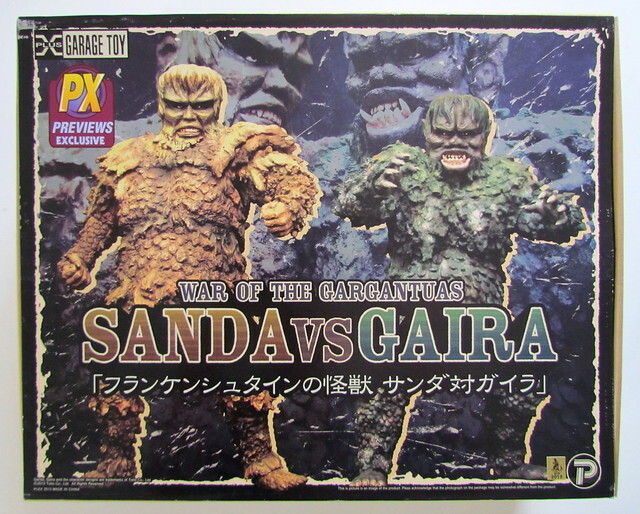 This one is X-Plus first pre-painted Gaira released in July 2008. Original price was 16,800円. Sanda was sold seperately. The packaging for this pre-painted version is shown in the top right corner which is the green box. The bottom 2 boxes were the first release as unpainted vinyl kits in November 2007 and each individually priced at 6,800円. The ones in the bubble packaging are the Diamond PX release. Aoshima Skynet Gaira. This figure stands approximately 20 inches in height. Released November 2007. Original retail price 21,300円. CAST. You are looking at the Deluxe version. The standard had a small street for the base. This deluxe version came with a larger base and Marunouchi building with 3 tanks and a military jeep. Released August 2013. Original price for standard version is 3,500円 and for Deluxe version 7,000円. *All pictures are by me. Last edited by Kaiju no Mura on Sun Nov 19, 2017 7:03 am, edited 1 time in total. Splendid stuff there, Kaiju no Mura! That CAST diorama is particularly cool-looking. Maritonic wrote: WOW they look great. 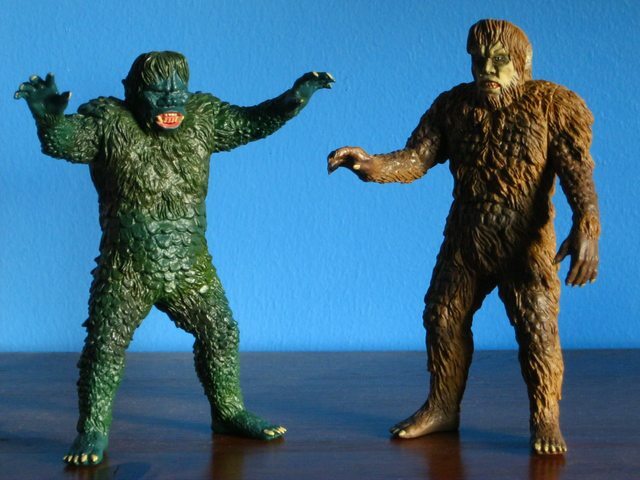 I sadly have no representations of The Gargantuas in my collection.